This week, I've been re-watching old episodes of The Great British Bake Off in search of inspiration. Safe to say, 'soggy bottoms' and 'good bakes' have become part of my day to day vernacular. Another side effect of my 'Bake Off' binge is my brand new girl crush on Mary Berry. Girlfriend knows her stuff! I've tried a few of her recipes and let me tell you now... they DO NOT disappoint! This recipe is inspired by her Perfect Victoria Sandwich; an absolute classic. I, of course, had to put a tropical spin on it. 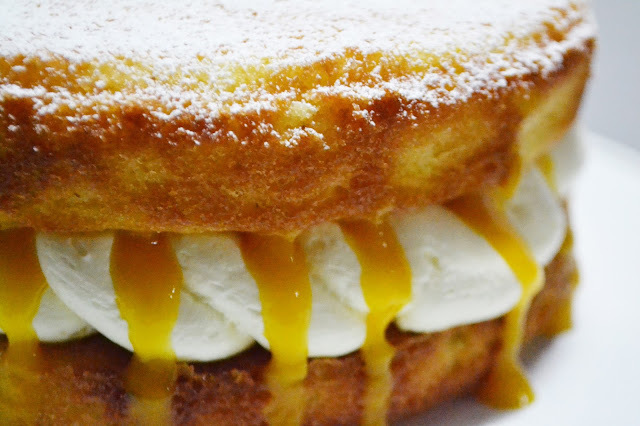 Result: Coconut and Mango Victoria Sponge! Summer in Australia means mango season; the sweet scent of the ripe fruit is always present at my house in the warmer months. This past summer we had more mangoes than we could eat (hard to believe, but believe me, we had trays upon trays of the stuff) so we sliced them up, froze them and squirrelled them away for a rainy day. 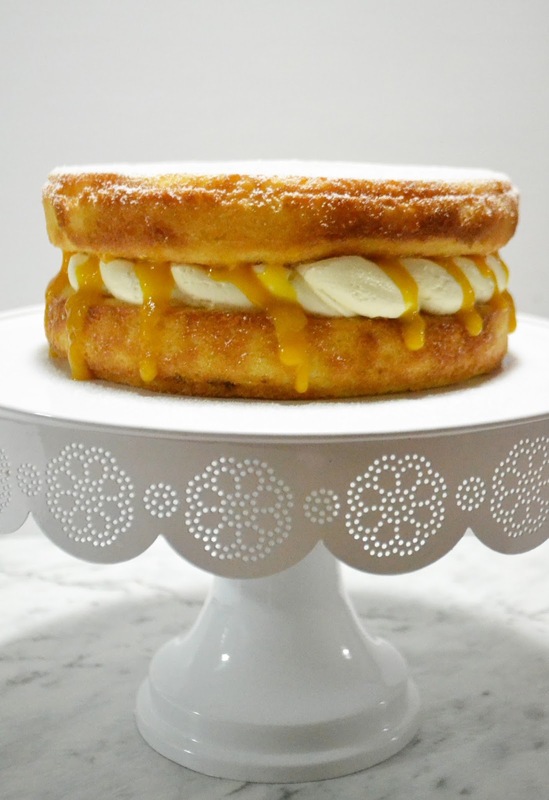 I used finely desiccated coconut in the sponge cake which gives it an awesome sandy texture. You don't want to use shredded coconut here as I think that might turn out a touch too chewy. I also had some homemade coconut yoghurt which I added to the mix to make things fluffier and to counter the coconut (a dry ingredient) with some much needed liquid. Now, that looks like whipped cream in the middle but it is in fact, Italian meringue buttercream. I actually wish I'd used cream, despite Italian meringue buttercream's deliciousness, I found it to be a little too rich for this particular dessert. Oh well... next time! I'm replacing the Italian Meringue Buttercream with fresh whipped cream here. Also, if you don't have coconut yoghurt, you can use either greek yogurt or coconut cream. Also, it should be noted that because of the cream, this cake will need to be refrigerated if not serving immediately. Preheat oven to 180ºC. Grease and line 2 20cm sandwich tins with baking paper. Combine cake ingredients in a bowl and mix with electric beaters till just combined. Divide into sandwich tins and bake (try to fit them on the same, preferably low, shelf in the oven) and bake for 20 minutes or until a skewer comes out clean. Cool in tins for 5 minutes before turning out onto a wire rack and allowing to cool completely. To make the coulis, simply blitz together the mango and lime juice till smooth. 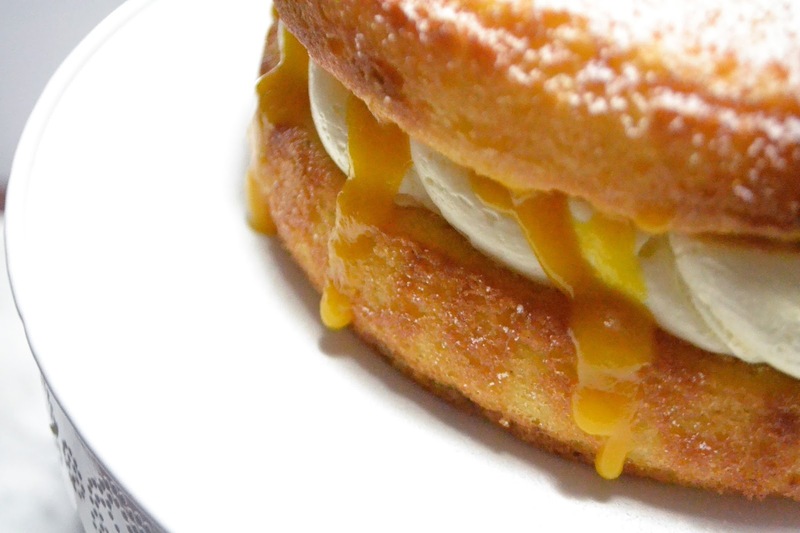 For the chantilly cream, just whip the cream and just before it's done, add the icing sugar and beat till combined. 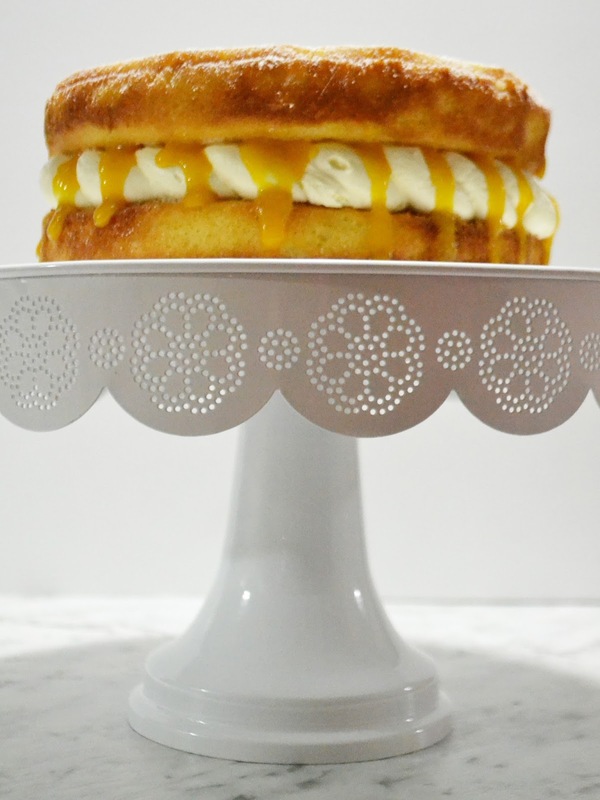 To assemble, place one cake on your serving plate and spread or pipe cream on top. 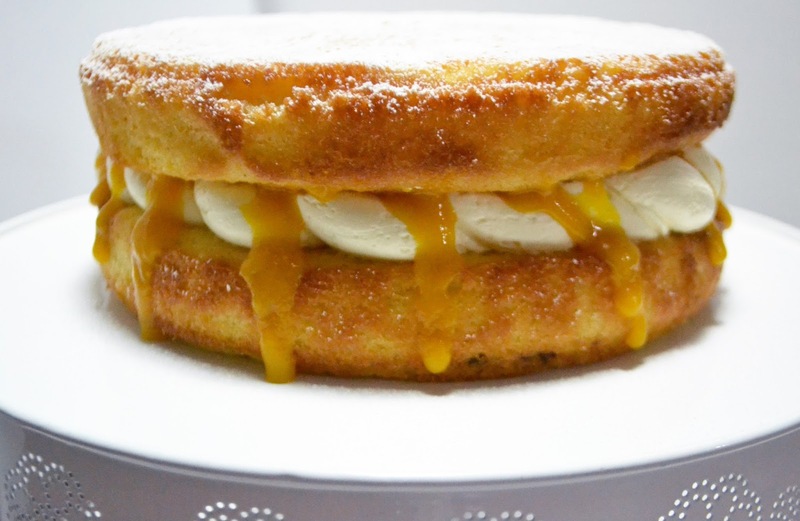 Drizzle with the mango coulis then top with the other cake layer. Serve immediately. Enjoy! looks lovely and sounds delish!